Verblio Review: Is Writing for Verblio a Scam or Legit? Verblio, formerly known as BlogMutt, is an online content creation company, who claims to be the most flexible freelance gig out there. They help you discover businesses and agencies that need writers with your expertise. Verblio won’t be for everyone; customers will have to choose your writing after you have spent time writing it to get paid. If you’re interested in working at home as a freelance writer, we highly recommend the course at 30 Days or Less To Freelance Writing Success. It will teach you how to find high paying freelance writing clients that give you a consistent income each month! It won’t be easy, but if you put in the work, you can make it happen. If you’re interested in writing for others you might also be interested in writing for yourself. It’s actually My #1 Recommendation to making money from home and it’s how I make over $13,000 online each month. In this post, I’ll tell you how to apply and what to expect freelance writing for Verblio. Check your email immediately and confirm your email address. When you do, you’ll be redirected to an application. The application requires your full name. They won’t publish your name, and your clients will only see the pen name you choose. But Verblio needs to know who you are so they can pay you. They ask how you heard about them. There’s an open cell to write whatever information you want them to know – you could include your blog page, professional interests, or activities you enjoy. Are you willing to write in spec? This is also known as ‘speculative.’ For Verblio, this means that customers will choose which posts they want to purchase; if your post is sold, you’ll be paid for it. You will retain ownership of unpurchased posts. Do you understand what plagiarism is and agree to never plagiarize on their platform? If you do submit content that Verblio determines to be plagiarized, they will remove you immediately without notice. Do you understand that you will be an independent contractor for Verblio – not an employee? Upon submitting the application, you are given a short multiple choice quiz to test your proofreading and grammar skills. You need to get 7 out of 10 correct, and you can take the test twice. So take your time! Your test is graded immediately, and if you pass, you are then presented with a plagiarism exam. The plagiarism exam is a thorough description of what Verblio considers to be plagiarism, followed by 5 questions. Upon completion, if you pass that exam, you are asked to finish signing up by filling out a W-9 tax form. You need to have a valid Social Security number and be legally allowed to work in the US. Good news – if you’re a traveler, you don’t need to physically reside in the US. Once you have submitted your W-9, it says “Awaiting Approval.” They will check your W-9 to make sure you can work in the US. You should receive a return email within a week. They receive a lot of applications and ask that you don’t contact them to check on it. How Much Does Verblio Pay? 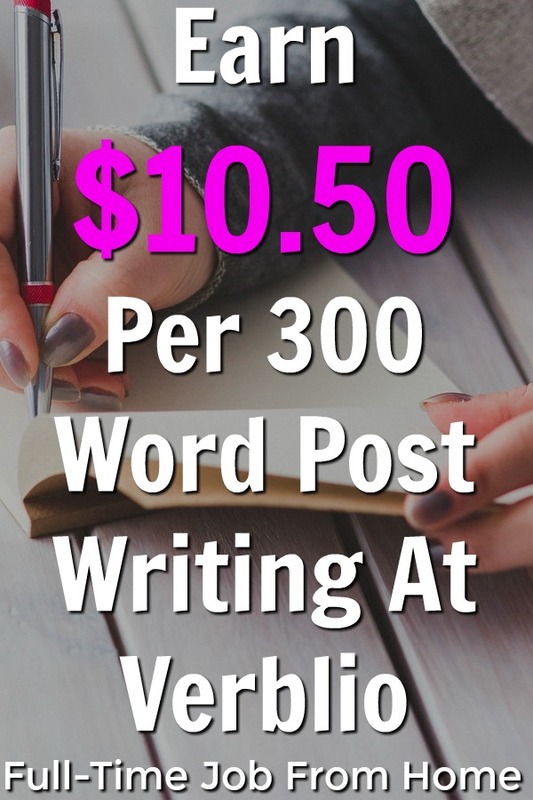 Verblio pay starts at $10.50 per 300-word post. You are paid once a customer has purchased your content. They pay via PayPal with the email you used to create your account. You can change it later on if you used a different email to register. As a new writer, you’ll start with short jobs. As you sell your content and receive good ratings, you’ll earn access to longer, higher-paying jobs. There’s no information on how much the longer higher-paying jobs pay. Invoices are paid weekly on Mondays, at 3:00 PM Mountain Standard Time. There is no minimum payout, and you can choose to be paid when you want. 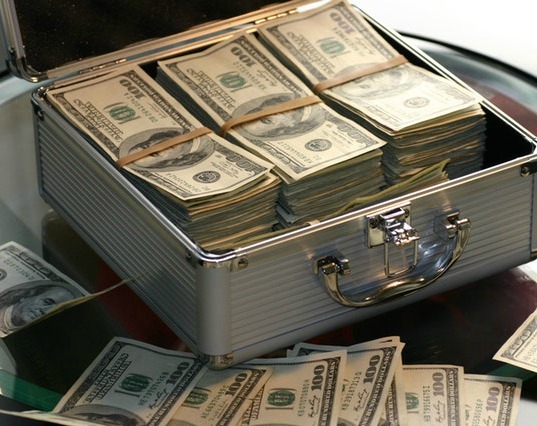 You can let your payout build or send in a weekly invoice to be paid more frequently. Your schedule with Verblio should be completely what you make of it. I’m not sure if they only do speculative writing, but if that’s the case, you are writing when you want to. You can do this any time of day. Jobs can vary from 300-3000 words. The more posts you submit, the greater chance you will have that something will be purchased. I only found one review on Glassdoor. This part-time writer says it’s “pretty decent.” It’s flexible work from home, but hard to “pin down the pay.” I wish I could tell you exactly what that means, but the posts start at $10.50 each so the review must mean pay ranges quite a bit once you get past the short beginning assignments. I found another blog writer who gave Verblio positive feedback. He claims Verblio is his favorite site to do paid writing for. Is Writing for Verblio a Scam or Legit Writing Opportunity? Based on my research, Verblio is not a scam. The starting rate seems a little low, but not too low to give it a try. If you want to write and you meet the requirements, go here to get your application started. Again, writing a post for Verblio does not guarantee payment, a client will have to choose your post to get paid. If you’re interested in writing and want to control your income, we highly recommend looking into the course at 30 Days or Less to Freelance Writing Success. The course means work, but if you put in the work, you can see a great freelance writing income.